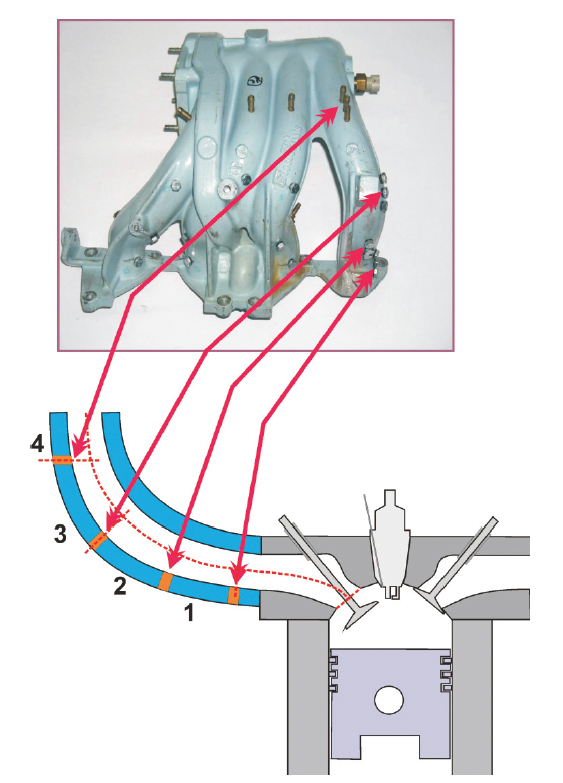 Please look on very valuable and interesting research on how the location of manifold LPG nozzles influence engine work. Results of research prove a significant influence of ferrule location on the engine work fueled by LPG sequential gas. Moving away the area of providing the gas from combustion chamber result in worse parameters values of the engine work. In addition, their sensitivity on φ-angle increase. The further position of installing a ferrule from the inlet valve is, the highest sensitivity of combustion process on injection start angle occurs. It means that even if ferrules are distant from combustion chamber (Lw4) there is a possibility of achieving satisfying results by proper regulation of φ-angle, assuming that ferrules are located in the same distance from the inlet valve.